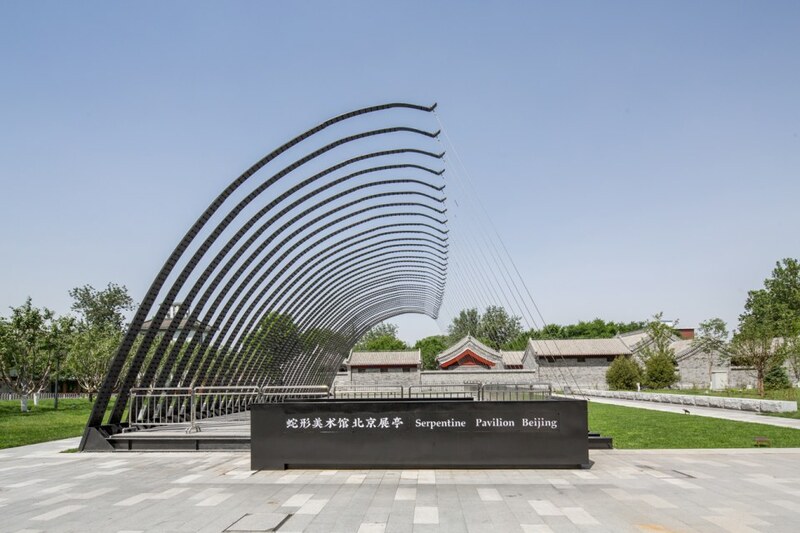 The Serpentine Pavilion Beijing—a major new collaboration between the Serpentine Galleries (London) and WF CENTRAL (Beijing)—opened to the public on May 30 at WF CENTRAL in Beijing’s Dongcheng District. Designed by JIAKUN Architects and modelled on the Serpentine’s pioneering Pavilion commission in London, it provides the architectural backdrop to a programme of cultural, community and lifestyle activities across five Pavilion Weekends. The Pavilion takes inspiration from Confucianism with an architecture that represents the traditional pursuit of Junzi. Led by Liu Jiakun, JIAKUN Architects met the brief of designing a world-class temporary Pavilion that considered the historic and social context of Beijing and the 18-year history of the Serpentine Pavilion commission. Liu Jiakun addresses contemporary architectural issues with a sense of realism, an approach inspired by folk wisdom and open to China's many traditions, shedding light on the reciprocal relation between Chinese public life and urban cultural space. The first Pavilion to be co-commissioned and built by the Serpentine outside the UK will be in place at WF CENTRAL until November 11. The opening event of the Serpentine Pavilion Beijing saw a performance by artist Feng Mengbo with musician and record producer Zhang Yadong. Every evening, from 8 to 10pm, the Pavilion is illuminated by a site-specific light installation conceived by artist Wu Jiehui in collaboration with UFO studios. A selection committee of eight chose JIAKUN Architects’ design, including Hans Ulrich Obrist, Artistic Director, and Yana Peel, CEO, Serpentine Galleries; architect Sir David Adjaye, Trustee of Serpentine Galleries; David Glover, CEO of Intelligent Engineering and technical advisor to the Serpentine Pavilion Commission; Raymond Chow and James Robinson, Executive Directors of Hongkong Land; artist Wang Jianwei; and Philip Dodd, Director of Made in China. The five Pavilion weekends will each feature two themed thought-leadership talks in the Inspiration Talk Series, and a range of community events focused on the family, including wellbeing and creativity workshops, lawn parties, children’s disco classes, performances and specially curated outdoor art-cinema. The Inspiration Talk Series brings together architects and artists with industry thought-leaders, debating topics including the role of art and culture in urban renewal, innovation and social inclusion. The Pavilion weekends take place on June 9-10 , July 6-8, August 3-5, September 7-9, October 26-28.